On June 14, 1962, after consultation with the pastors of Immaculate Conception Church in Willoughby, and St. Mary Magdalene Church in Willowick, His Excellency, Edward F. Hoban, then Archbishop-Bishop of Cleveland, issued a decree for the canonical erection of a new Church to be known as St. Justin Martyr, and announced the appointment of the Reverend Victor M. Lambur as founding pastor. A census was taken by representatives of the Franciscan Fathers revealing a total of 967 Catholic families residing within the established parish boundaries, with approximately 850 children of grade school age. The neighboring parishes of Immaculate Conception and St. Mary Magdalene continued to administer to the academic needs of these children until the school building could be completed. The Diocese purchased 12.5 acres of land on Stevens Boulevard as the site of the new church and school. An existing home on the property was to be remodeled to serve as a “temporary rectory” and enlarged to include a chapel for daily Mass. Sunday and Holy Day Masses were said at North High School in space rented from the Willoughby-Eastlake Board of Education. In these early days of the parish, Rev. 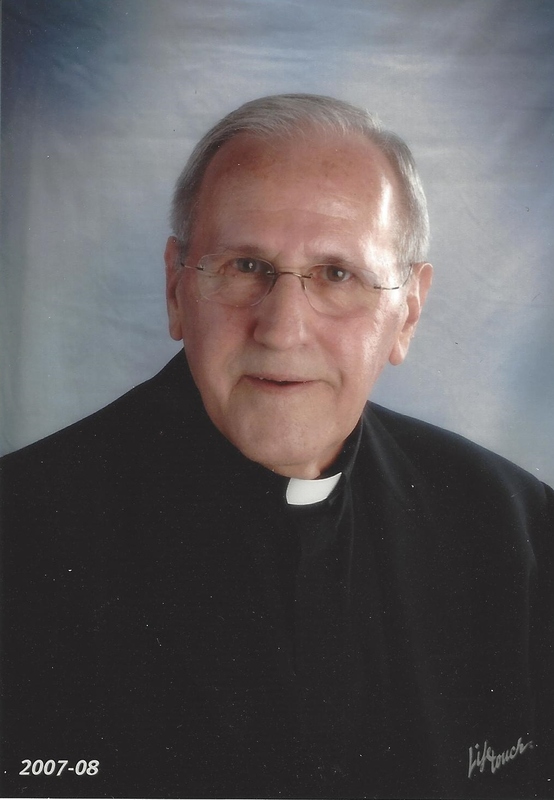 Charles E. Haley, a retired priest in the area, assisted Fr. Lambur with help from the Fathers of the Blessed Sacrament, and Borromeo Seminary. The establishment of a new parish is an exciting challenge. Father Lambur, with the able assistance of the Ave Maria Guild, the Holy Name Society, the Ushers’ Club and many self-sacrificing parishioners, devoted endless hours of their time, energy and talents to the ever-growing needs of the parish. Primary among those “needs” was to unite this new parish formed from two separate faith communities. A beginning step toward that end was taken in the form of a parish picnic, held August 25, 1963, at “The Ranch on Reeves Road” with 1,150 parishioners attending. Construction of the original 16 classroom sch ool and multi-purpose room, which would serve the community for 20 years before a permanent worship space would become a reality, was completed in the fall of 1964. On September 8th of that year, St. Justin Martyr School, staffed by the Sisters of Notre Dame, six lay teachers and one nurse-secretary, opened its doors to 453 students. The first Mass was celebrated on Sunday, October 18. 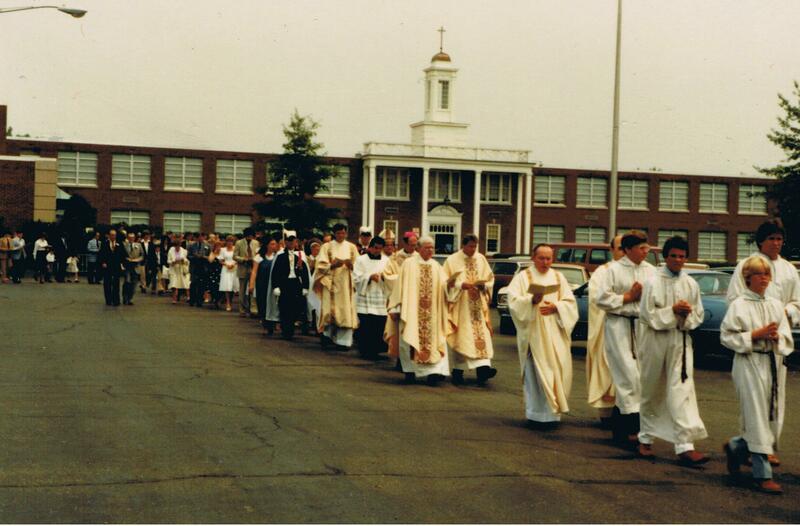 The year 1966 saw the first parish Confirmation, the first Eucharistic Devotions, and the first parish Mission. The decade of the 70’s produced Parish Council and a permanent residence for the Sisters. The 80’s brought forth many significant events. 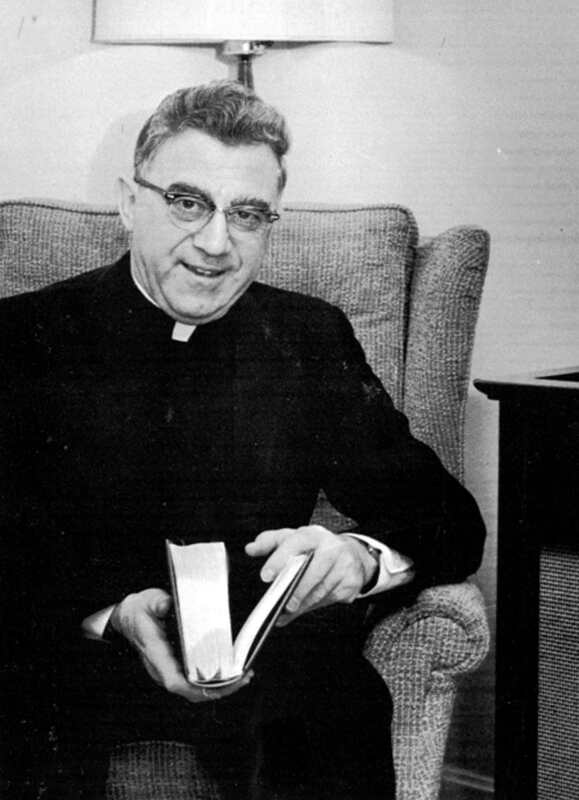 1981 was a year of transiti on for the parish: Father Lambur retired, and Reverend Louis A. Pizmoht was named pastor. 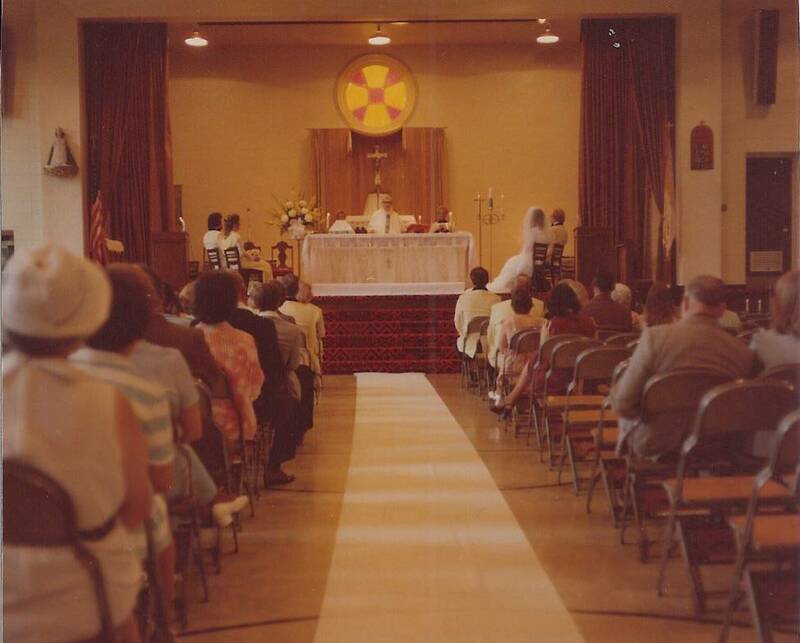 Under Father Pizmoht’s leadership, the parish reached a long-awaited milestone event: the completion and dedication of a permanent worship space in 1982. In 1984, a serious fire destroyed the kitchen and storage areas behind the gym, an event which brought together school and parish families to help in the clean up. In 1986, a four room addition to the school including a special kindergarten room and a meeting room was completed. On May 28,1988 Father James Roach was ordained a priest for the Diocese of Cleveland, the first vocation to the priesthood from the parish. In June of 1993, Father Kevin Liebhardt became the third pastor of St. Justin Martyr Parish. The vibrant life of the Parish of St. Justin Martyr is reflected in over 40 different active ministries currently within our community. These organizations, committees, spiritual events and gatherings occur during any given day, due to the love and commitment of the many people who make this the Parish Community of St. Justin Martyr. From 2004 to 2008 St. Justin experienced the world-wide Catholic ministry of the Society of Jesus. Fr. Diago D’Souza, Fr. Herman Castillino and Fr. 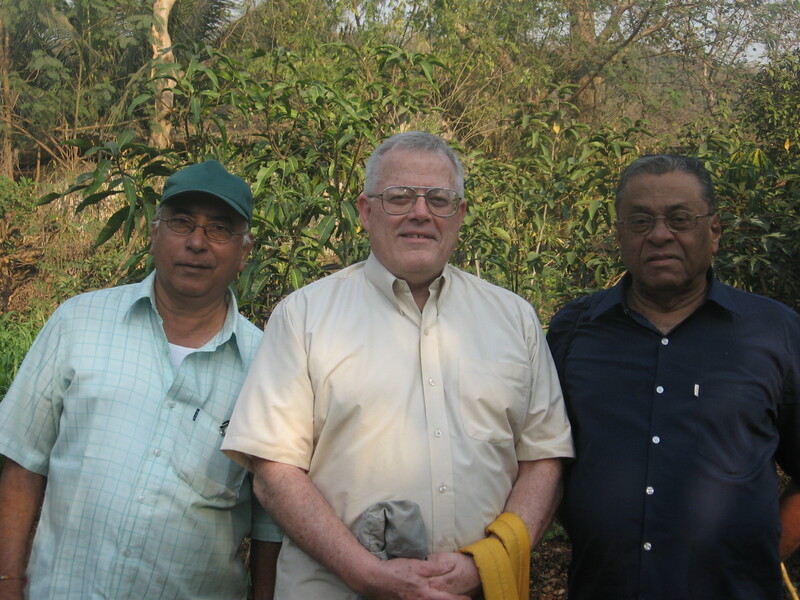 Alex Colaco, Jesuit priests from the Bombay India Province, each spent a sabbatical year with us as parish priests. Their individual talents, personalities and ministerial gifts greatly enriched our community life. All three were thankful for the opportunities to give and receive so many blessings. They appreciated the warm welcome they received and the many friendships they developed. January 2006 marked a major change for our parish. Due to a declining school-age population in our area, we merged our school with St. Mary Magdalene so that quality Catholic education would be available and more affordable for both families and the parishes. The new St. Mary Magdalene – St. Justin Martyr School opened in August 2006, continuing the tradition of excellence in faith formation and academic education evident in both parish schools from their beginnings. 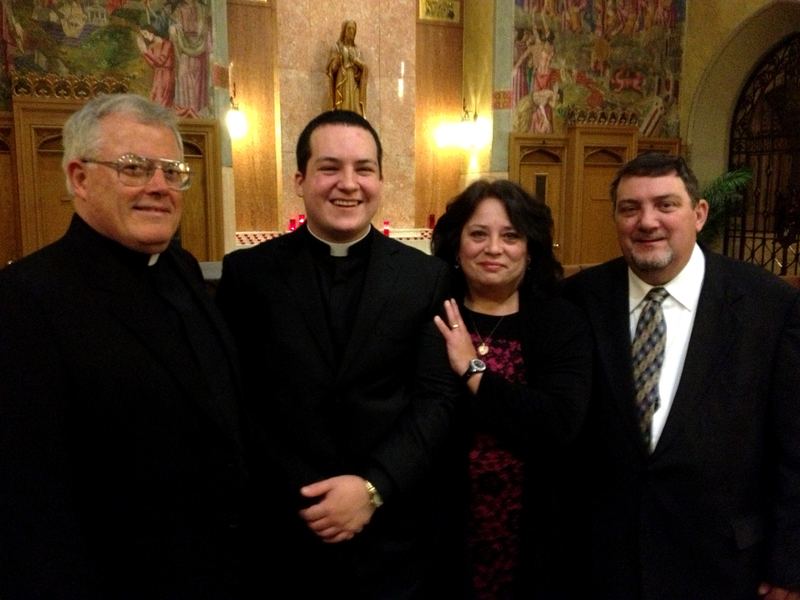 On May 28, 2010 Matthew Kozlowski from St Justin was ordained Fr. John Chrysostom Kozlowski, OP as a priest of the Order of Preachers (Dominicans) in Washington, DC. He entered the Dominicans a few years earlier in Cincinnati and continued his formation at Catholic Universi ty in Washington. We celebrated our 50th Anniversary in 2012. We enjoyed a wonderful Organ Re-dedication Concert in December. The family banner project revealed the artistic talents of many of our families. The Parish Mission in March helped deepen our faith. On June 10 Bishop Lennon celebrated a wonderful Anniversary Mass with our parish. An Anniversary Dinner followed with many entertaining skits about our history. In June, 2013 we gave thanks for our 49 years of Catholic education in our parish school and celebrated our last graduation. Declining enrollment forced the closure of the school. We are grateful for the great work accomplished in passing on the Faith to new generations. We look to the future with hope and grateful hearts. · supporting families attending Catholic schools and providing tuition grants for those in need. · continuing our excellent Parish School of Religion (PSR) Program for Catholic students attending public schools and the Fresh Faith and Confirmation programs for high school students. · developing more opportunities for Adult Faith Formation such as the Bible Study..
· expanding opportunities for families with children to come together and grow as a vibrant part of the whole parish community. The 2014 Easter season marks a special time of grace for St. Justin. On May 17 Bishop Lennon ordained Deacon Christopher Cox as a priest for the diocese of Cleveland. Chris grew up here, attended St. Justin Martyr School, North High School and then Borromeo and St. Mary Seminaries in Wickliffe. 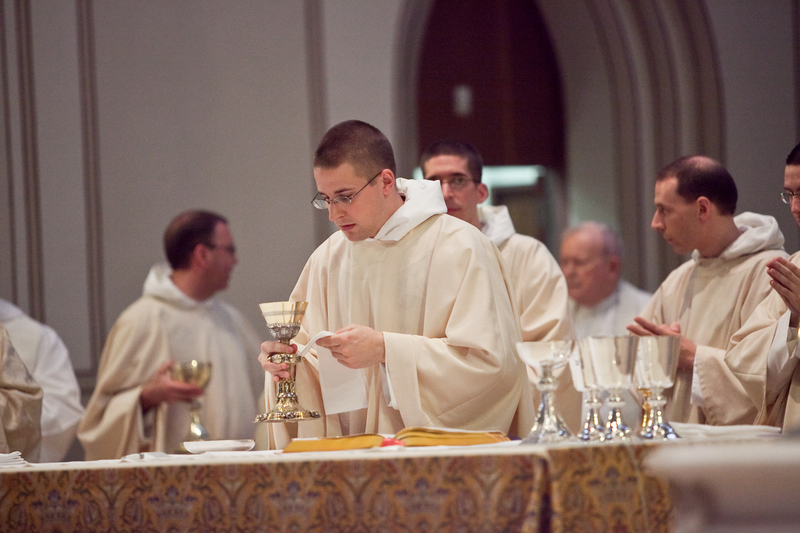 Fr Cox, who serves at St. Francis in Medina, Ohio joins Fr. James Roach (St. John Vianney, Mentor) and Fr. John Chrysostom Kozlowski, OP (Catholic University, Washington, DC) in the ministry. On Pentecost Sunday, June 8, we celebrated Fr. Kevin Liebhardt’s 40th Ordination Anniversary with wonderful prayer and a great party. In the Fall of 2014 we renewed our parish stewardship through the Grateful Giving program. Parishioners made good use of two initiatives to deepen their Faith. At Christmas the book Four Signs Of A Dynamic Catholic which was given to all and provided many simple, practical ways to enhance our daily living of the Faith. The Lenten mission Getting Centered in an Off-Centered World reminded us that our Faith is a reliable foundation and guide in this often-confused world. 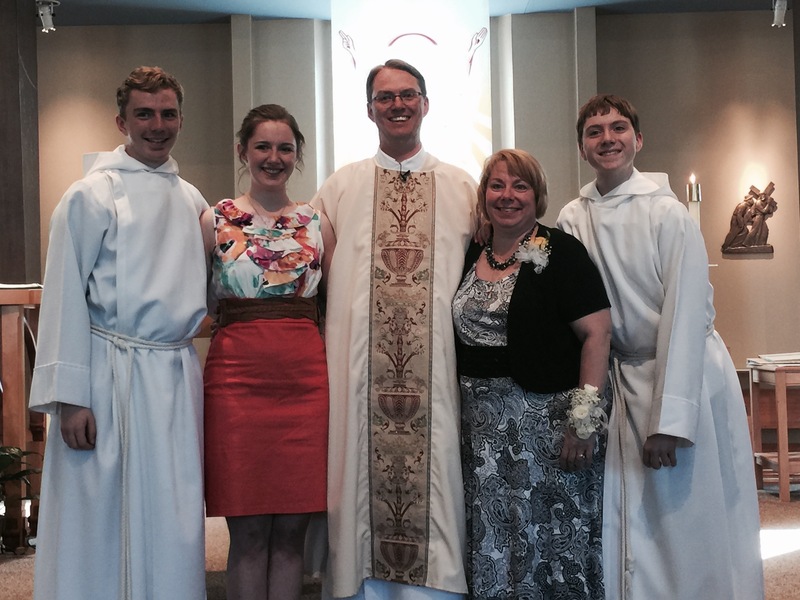 We were blessed in May 2015 when the newly-ordained Deacon Tim Shell was assigned to minister at here at St. Justin. As a deacon he will minister in prayer and preaching, in teaching and in service to those in need. His knowledge, enthusiasm and prayerful spirit have added much to our parish life.